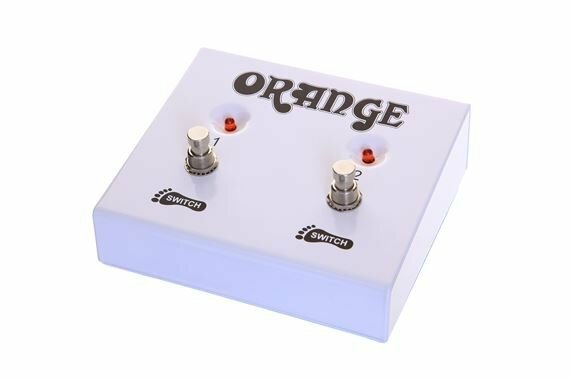 Shop Orange FS 2 Dual Function Footswitch from AMS and enjoy Fast & Free Shipping. Orange FS 2 dual function footswitch with LEDs and 1/4 inch input jacks. Excellent condition and works great as expected! If you buy an Orange amp, this is the only choice for a footswitch. It's as sturdy and reliable as they come. Heavy duty and solid box. It take a beating and keeps on ticking. True bypass. What else do you need? I did not get any paper work with it. I have a Marshal JMC900 tube amp. BUILT LIKE A TANK. I was thinking about finding a cheaper one, but instead I ordered a "scratch & dent" one from here, and I cannot find a mark on it! Bought my Rockerverb here, too- review coming soon (love it!). AMS has the finest Customer Service, and fast shipping.